3 Beds 2 Baths 1,984 Sq. 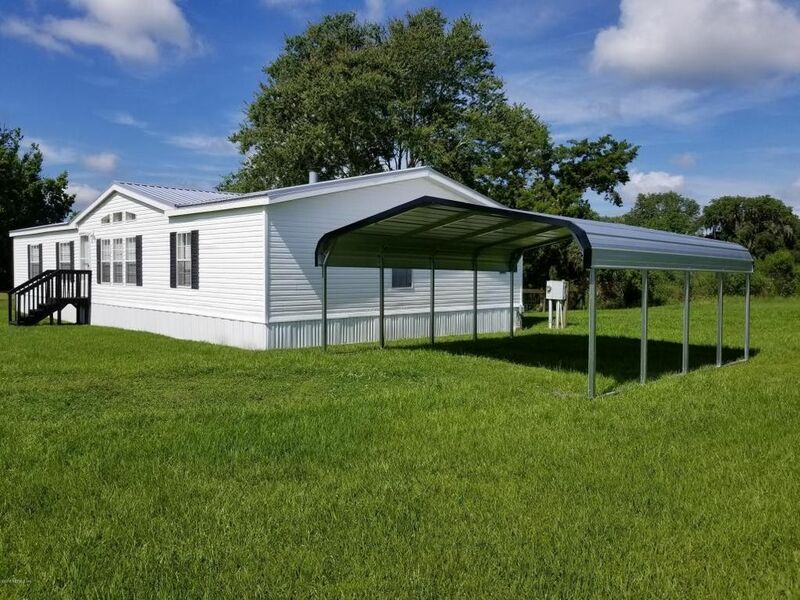 ft.
Move In Ready 3 bedroom 2 bath home with new metal roof, New 18 x 21 Carport, New Flooring, New Maytag Appliances all on 1 acre. Home features large laundry room with plenty of storage, Wood burning Fireplace with built ins on both sides, Walk in closets in all bedrooms, garden tub in master, crown molding, fenced in area in back yard with beautiful shade trees. Not much traffic on this quiet cul-de-sac street. Road is maintained by Home owners association. Directions: from 301 & 100. West on 100 for approx. 10 miles just before the Union County line. Right into River Oaks Plantation to right on 135th Lane to property on left.